Spring is here and so are the bountiful blossoms to announce the arrival! We have mentioned the rare Oconee Bell that has bloomed in abundance this year at Lake Jocassee but even in our day-to-day activities we can enjoy the fresh colors all around us. One such place is the Keowee Towne Market. 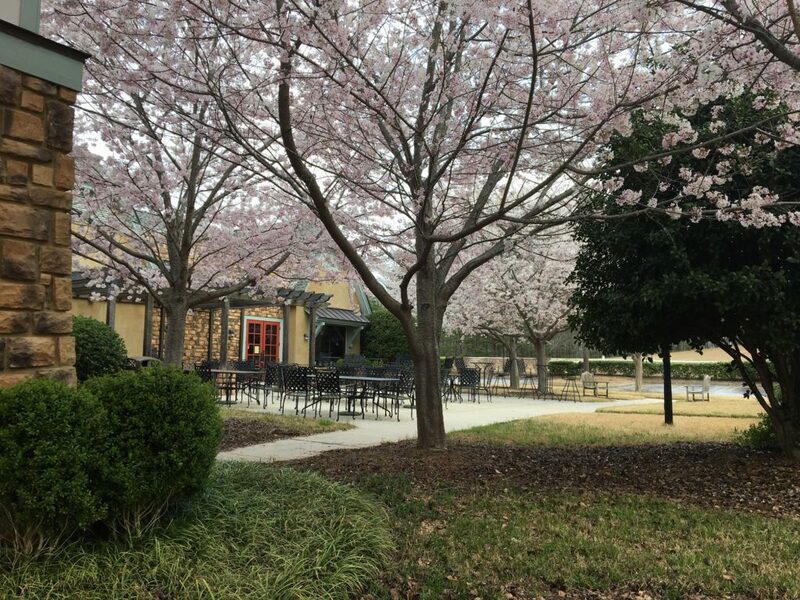 Yes, there you can enjoy the sight of the flowering cherry trees in the courtyard area. Imagine your “dining room” with a canopy of these blossoms? Stunning! So next time you are cruising down scenic Highway 11, stop in to the restaurant at Keowee Towne Market for a pizza, burger, or sandwich (everything is delicious!) but stop by soon to enjoy the cherry tree blooms. Thankfully, unlike the various blossoms, the menu items will be available all through the Spring, Summer and beyond for your enjoyment!